Your time and energy makes a tremendous impact on our neighbors facing difficult times. A variety of volunteer opportunities are available for individuals, families and groups. Available volunteer opportunities for that specific category are available below on this page. Please check back later for specific volunteer opportunities. Fill out our online volunteer request form to send us your availability. You can also sign-up for our Email Newsletter that highlights past and future volunteer opportunities. 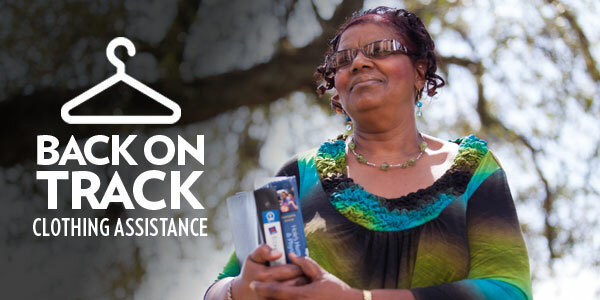 Back on Track provides free professional and work clothing for men and women who are entering or re-entering the workforce. Volunteers receive and maintain the clothes for distribution and assist clients with selection and check out. Opportunities are located at the Customer Connection Center, Monday through Friday. 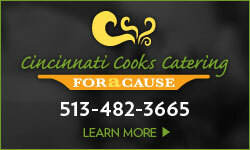 Assist Cincinnati COOKS! students as they prepare for the certification tests by reading aloud the manual to the class on Mondays from 1 to 3 p.m. Pleasant reading voice and enthusiasm is a must! Assist Freestore Foodbank employees with filing, copying, scanning and voice mails and other clerical support as needed. Locations to be determined. 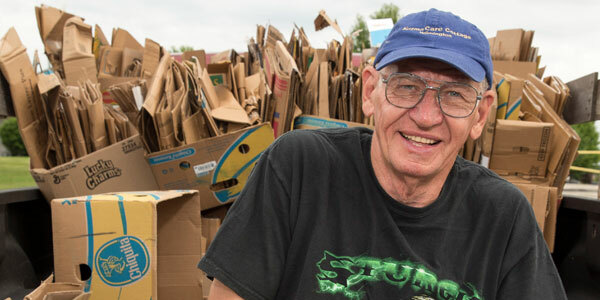 Work closely with the Volunteer Coordinator at the Distribution Center and help supervise and coordinate teams of 10-30 volunteers on a regular basis. Typical activities for groups include Power Pack assembly, food sorting and senior box assembly, but will vary on a weekly basis. Greet and directs all Customer Connection Center guests, staff, clients and volunteers. The Distribution Center distributes food to the Freestore Foodbank’s community partner agencies. Volunteers will provide groceries to our customers to give them one less thing to worry about as they work to make ends meet. Our Liberty Street Market allows our customers to choose items from the selection available, much like a regular grocery store. All volunteers require a pre-screening process. The Giving Fields is a community farm located in Melbourne, Kentucky that provides fresh produce for Northern Kentucky food pantries, soup kitchens, and other agencies that provide emergency food. Both individuals and groups are welcome. Volunteers are needed to help plan, organize, plant, water, maintain, remove weeds and harvest the fields from March through October. We can accommodate large and small groups and people of all ages over 5 years old. Volunteers should wear comfortable clothing and be prepared to get dirty and/or wet. No experience is necessary. Please check-in with the farm manager when you arrive. All Giving Fields volunteers must complete the volunteer application and liability waiver, either on paper or through our electronic system prior to arriving at the farm. 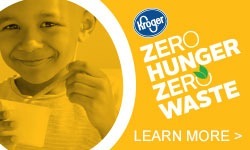 To register: Contact volunteer@freestorefoodbank.org or call the Volunteer Services at 513-482-7550 with questions. A Power Pack is a bag of nutritious food given to students each Friday during the school year to ensure they have something to eat on the weekends. Participating schools identify children in need to take part. Each Power Pack contains 9-12 food items, which are shelf-stable and easy to prepare. Please volunteer or donate today! $4 provides one Power Pack to a child. $16 supplies a child with Power Packs for an entire month. $160 provides Power Packs to a student for the whole school year. For $5,000, you can sponsor a Power Pack School for the year. Every donation goes a long way in helping children in need. Essential Functions: This position is a permanent volunteer leadership position to help supervise and coordinate teams of 10-40 volunteers. Typical activities for groups include Power Pack assembly, food sorting, and senior box assembly, but will vary on a weekly basis. 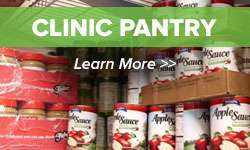 Team leader will orient groups to Freestore Foodbank, the organization’s programs, and the work to be performed that day and will then supervise these groups in their activities. Sometimes the Volunteer Team Leader will assist with data entry and paperwork. Requirements: Must be able to lift at least 50lbs, willing to work with people from diverse backgrounds, and able to take direction. Ideal candidates will be enthusiastic, committed, and passionate about the Freestore Foodbank’s mission. Volunteers are needed to staff the Back on Track program year round. The Back on Track program is a clothing shop at our Customer Connection Center located at 112 East Liberty Street in Over-the-Rhine. It provides our customers, both men and women with free clothing for job interviews and work, as well as emergency clothing. Volunteers are needed on Tuesdays and/or Thursdays between the hours of 9:30 am and 2:30 pm. Duties include sorting donations, maintaining clothing racks, and assisting clients. Interested in a team building opportunity for your staff or group? Groups can volunteer assisting with sorting canned food drive donations, assembling Power Packs bag and packing boxes during the holidays.